will still be accepted through May 25. Thanks to everyone for their support of Jim & Jan! 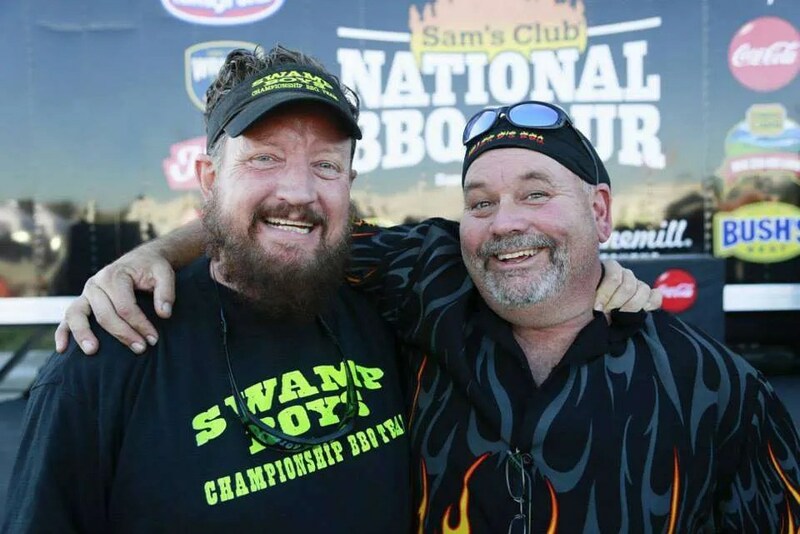 Good friend Jim Burg from Evans GA was rushed to a hospital from a BBQ contest almost 4 weeks ago with what turned out to be major pancreas issues. It happened out of nowhere. He is still in the hospital, trying to turn the corner and begin recovery. It has been very slow at best with lots of challenges. To try to help out financially a little, I am going to give away a seat to my upcoming June Q School to someone randomly selected from a list of donors. This is not a raffle, because PayPal doesn’t allow raffles. So I will collect forty (40) donations of $25 each. After all the donations have been made I will blindly draw a donor’s name and that person will be invited to my class for free, as a thank you for helping Jim and Jan. 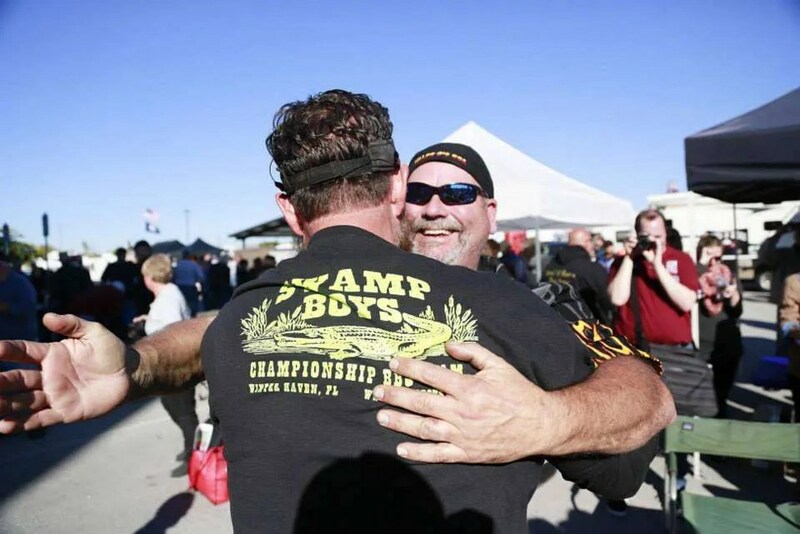 I will mail a $1,000 check to Jim and Jan on behalf of everyone who donated. And a huge thank you to everyone else who makes a donation to help these great people. God Bless! Robin (L) and her sister Tammy at Moffitt Cancer Center receiving first round of chemo. UPDATED July 7, Robin has completed her first round of chemo! 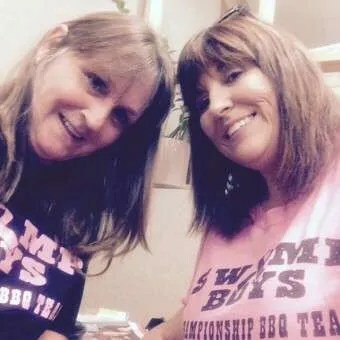 We were all sad to find out that our teammate and great friend Robin has breast cancer. She has begun treatment at Moffitt Cancer Center and she will beat this. 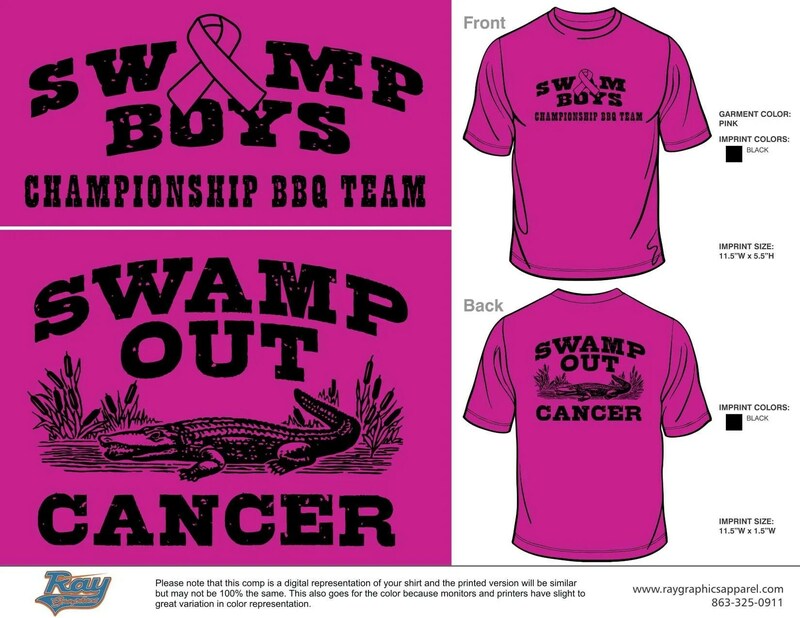 To help with the financial stress that comes from this, we are offering these Swamp Boys breast cancer tee shirts. 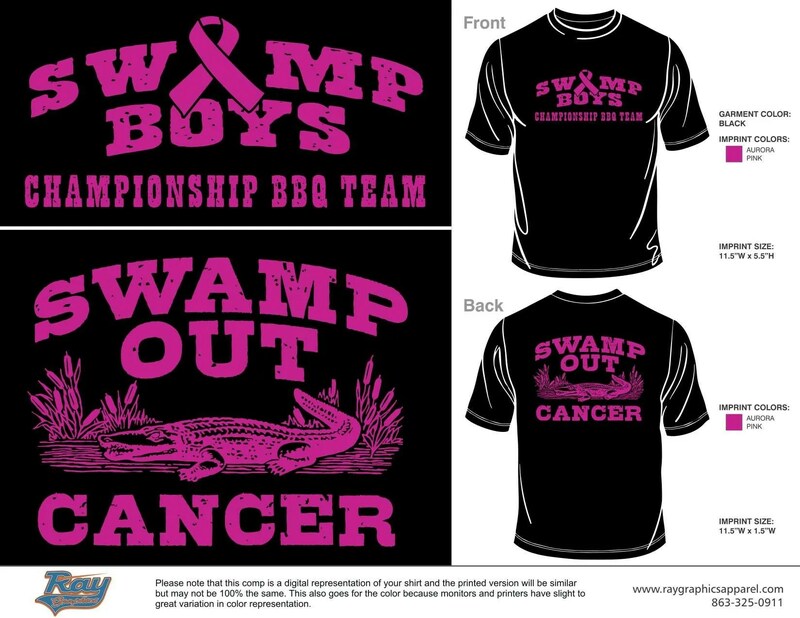 All proceeds will go to help Robin with copays, travel expenses, and raising her grandchildren. I will submit the order a week from today, July 14. They will all be shipped as soon as I get them from the printers. Prices include shipping. Thank you all for your support and helping Robin beat this.